Our national government has revealed the full extent of their “woman problem” or more accurately, their bloke problem. Women’s sport is getting marginally more coverage (shout out to the Australian women’s cricket team for their win over England) but equal pay remains out of reach. Sexual harassment in the workplace is a hot topic for all the wrong reasons, and women’s reports of harassment are still being met with blatant disbelief or an uninvited media circus. That said, there are some bright spots on the horizon. Backlash and resistance to gender equality is at an all-time high, which means believe it or not, we’re on the right track. We are making a positive difference. Covering four decades 1980 to 2018, Designing Women hones in on female designers and their pivotal role in Australian contemporary design. Ranging from fashion, jewellery, and product design, right through to architecture and digital innovation, Designing Women showcases over 50 significant works of design from diverse disciplines, all made by women. In commemoration of the life and work of beloved art icon, Mirka Mora, Heide Museum of Modern Art is showing her most personal and idiosyncratic works. 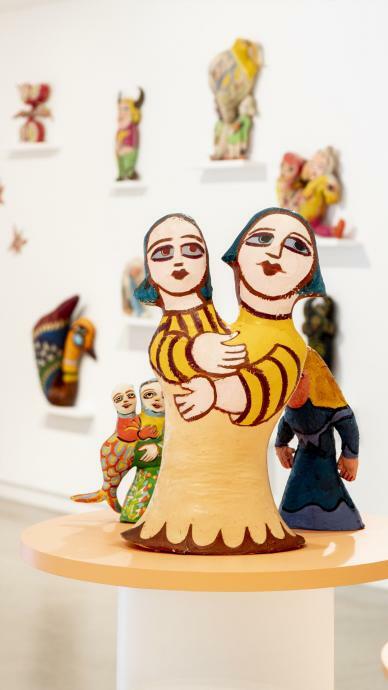 Mirka Mora: Pas de Deux – Drawings and Dolls, brings together Mora’s drawings and soft-sculptures, offering a glimpse into her world derived from folk art, surrealism, fairy tales and vivid daydreams. You know Frida’s self-portraits off by heart, you’ve seen the biopic with Selma Heyak countless times, but how much have you seen of her photographs? Not nearly enough. Revealed to the public for the first time in 2007, this carefully curated photographic archive is a must-see. Marawili’s exhibition traces her career in printmaking and painting, and her role as one of the most unique Aboriginal artists working today. From my heart and my mind spans her career as a mark maker with a particular focus on her creations from the last five years. 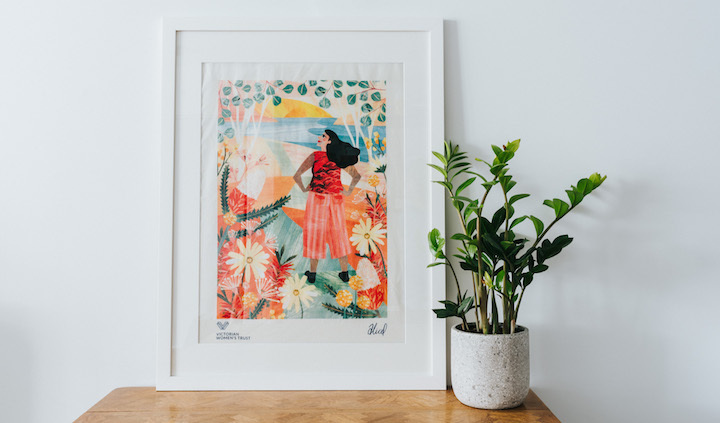 Inspired by country, and her home in Yirrkala, Northern Territory, Marawili deftly captures the lasting effects of weather on the land. 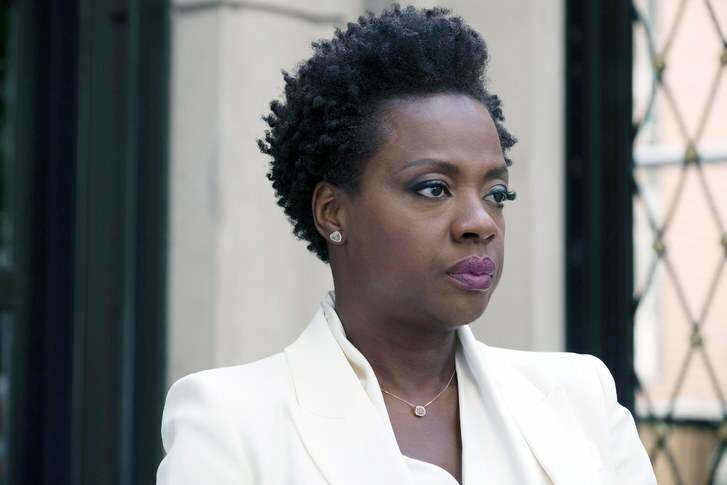 Viola Davis in “Widows,” co-written by Steve McQueen. With an all-star cast, Steve McQueen (12 Years a Slave) and Gillian Flynn (Gone Girl) bring to life the story of four women, played by Viola Davis, Elizabeth Debicki, Michelle Rodriguez and Cynthia Erivo, who plan a heist to resolve the debt left behind by their dead husbands. With feminist threads, the film presents a twisted thriller, mixed up in crime, passion and corruption. Keira Knightley revitalises the life of French writer Sidonie-Gabrielle Collette in the biopic, Collette. Encouraged to write under her husband’s name, Collette invents a literary series called the Claudine Stories that eventually become best-sellers. Unrecognised for her work, Collette must resist her husband’s proclaimed authorship and fight to be heard. Set in the early 18th century, back when England was at war with the French, a frail Queen Anne (Olivia Colman) sit on the throne with her close friend Lady Sarah (Rachel Weisz) beside her. Lady Sarah is covertly governing the country on Anne’s behalf, while tending to her poor health and temper. When a new servant, Abigail (Emma Stone) arrives, her charm endears her to Sarah. Sarah takes Abigail under her wing, and Abigail sees a chance to return to her aristocratic roots. Camille is teenage outsider from the ‘burbs, but all that changes when she meets a gang of girl skateboarders. As their friendship deepens, she becomes part of the NYC skate subculture. Sidestep the line at your local picture house and bust out some classic feminist flicks in your lounge room. Invite the whole gang over and boom, pajama party! Here’s a few of our fave films: Mustang (2015); 9 to 5 (1980); Alien (1979); Queen of Katwe (2016); Princess Mononoke (1997); The Color Purple (1985); Persepolis (2007); and All About Eve (1950). Melbourne rapper and RnB singer, Kaiit. Spinifex Gum is a music project featuring a choir of Aboriginal and Torres Strait teenagers from North Queensland alongside special guests Briggs, Peter Garrett and Emma Donovan. 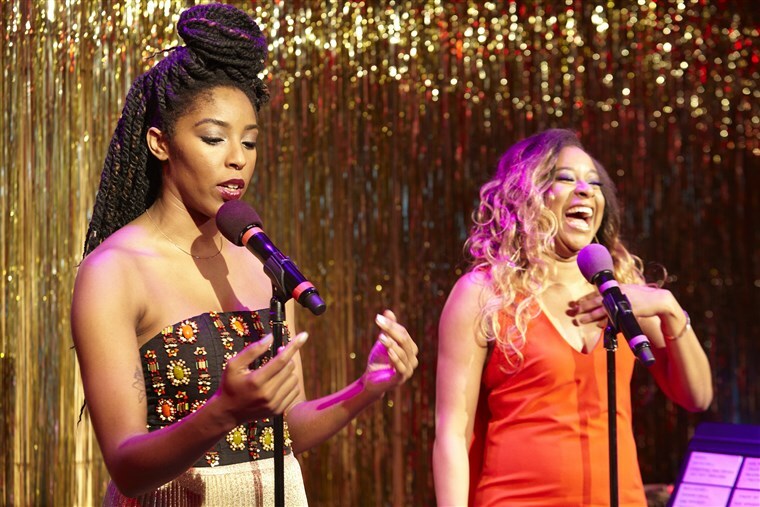 Their latest album was inspired by ‘individuality, laughter, friendship and the power of collective voice’. Listen here or catch them live at the Sydney Festival on 25 January 2019. Their recent album, How To Socialise & Make Friends (Poison City Records), was nominated for Best Rock album at the ARIAs. So, to sum up: you + CC + headphones = a good time indeed. If Jill Scott or Erykah Badu is your jam, then Kaiit is about to become your go-to. At just 20 years of age, the Melbourne based rapper and RnB singer has burst onto the music scene, spreading honeyed vocals and suave beats throughout songs that you won’t be able to get out of your head (in a very good way). Lyrical and expansive, Tash Sultana uses loop pedals and dreamy vocals to bring you one hell of an aural trip. Their latest offering, Flow State (Lonely Lands Records), flits between laid back summer cool to tight guitar blues. Starting out on the streets of Melbourne as a busker, Tash is one of the most exciting Australian musicians touring today. 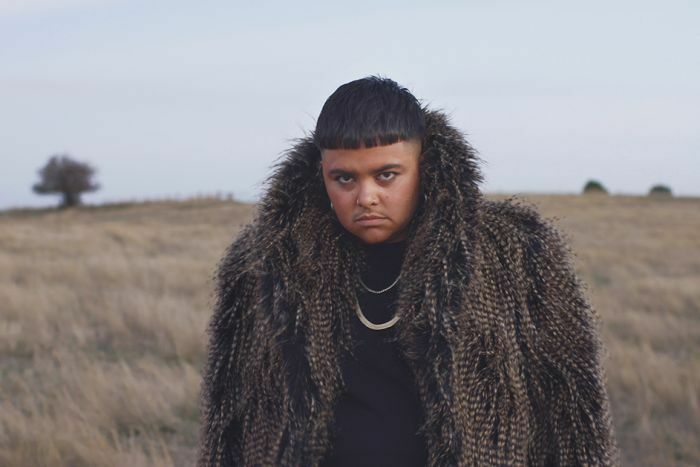 What is there to say about Melbourne musician Mojo Juju that hasn’t already been said? 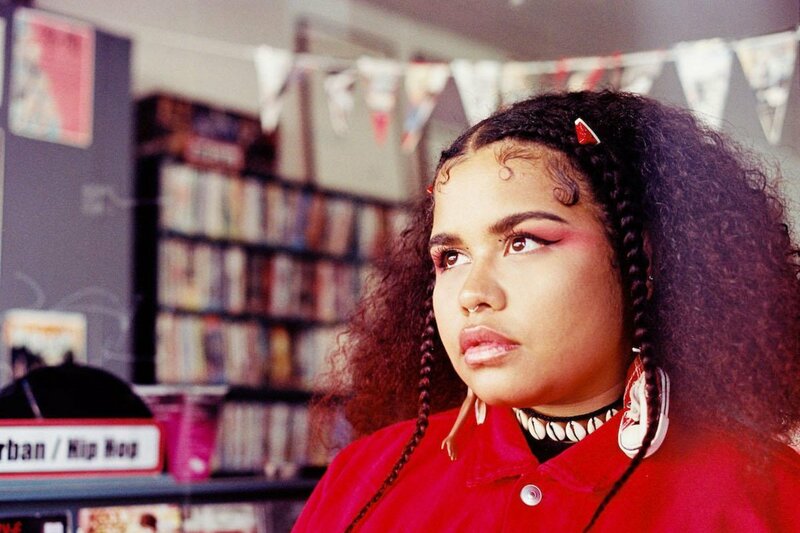 Her recent release, Native Tongue (ABC music / UMA), has been hailed as one of the best albums of 2018. A deeply personal record, Native Tongue delves into her identity as a queer woman, her lineage, and what it means to be “100% everything” in a place like Australia. My great granddaddy was Wiradjuri. My father came here from the Philippine. It’s where I live, it’s where I wanna be. But you make me feel so ill at ease. 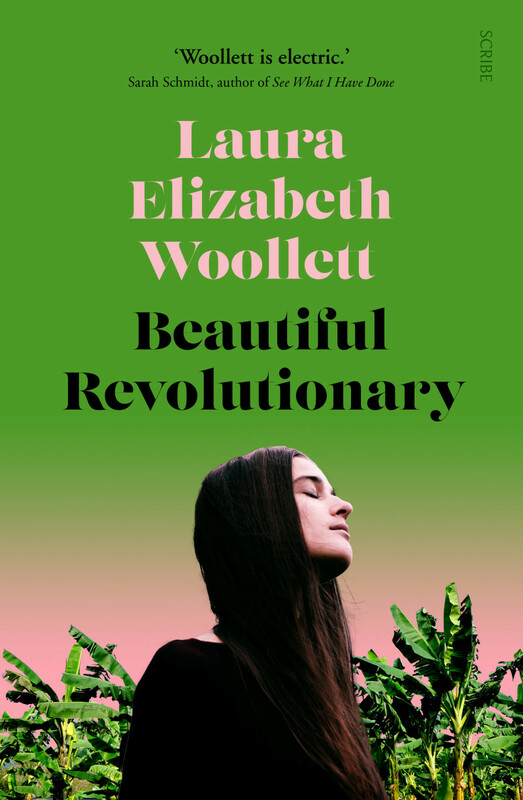 In this fictional retelling of the surreal events surrounding the Jonestown Massacre, Woollet shifts the lens from infamous cult leader Jim Jones to his partner, Evelyn Lynden. Against the backdrop of supposedly liberal, progressive politics, the group’s descent into chaos and terror is hypnotic and immersive. Meticulously researched, you will be hard pressed to put it down. Australian writer, speaker and appearance activist Carla Findlay writes about how she became her ‘own fangirl’ in this honest memoir, frankly discussing what it’s like to live with rare severe skin condition, ichthyosis. If you read Clementine’s first book Fight like a girl, you’re probably already aware of her recent publication, Boys will be Boys. Unpacking power, patriarchy and the toxic bonds of mateship, Ford boldly outlines what needs to change to make equality a reality. 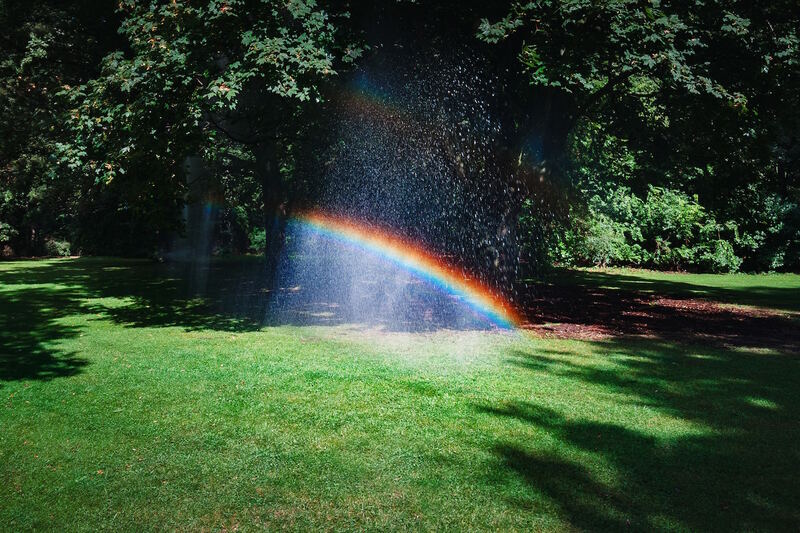 Very likely to make you rethink your unborn child’s gender reveal party. Described by some as “a self-help guide for black women”, Slay in Your Lane is an inspirational and comprehensive guide outlining how to achieve success in every aspect of life, from choosing career paths to navigating relationships. Don’t feel like reading? How about some therapeutic colouring? 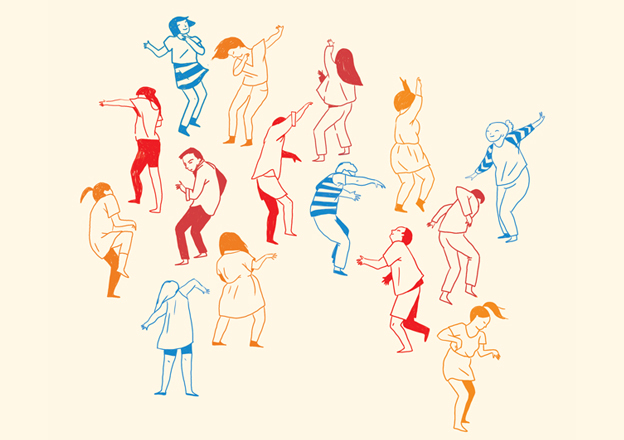 Frances Cannon has released a colouring book full of glorious illustrations, all celebrating the wonder of a summer picnic. 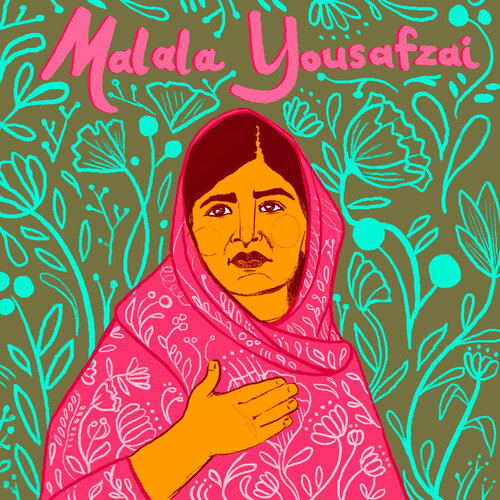 When we think of an inspiring young woman, Malala Yousafzai immediately comes to mind. The youngest Nobel Prize winner, equal rights and education activist, Malala has been fiercely advocating for the right of all children to have an education. At 11 years old, she was already campaigning for the rights of girls to receive an education in Pakistan. Now, she continues to make the world a better place. On the night of the 11th December, Malala will be in Melbourne to tell her illuminating story. How can we make city spaces safer, more convenient and more inclusive for women? How has gender influenced our current landscape? Join an esteemed line-up as they explore immediate and ongoing ideas around gender and design in this tag-team conversation at the MPavilion. This is just a taste of what’s on — for a full list, check out our events calendar. Summertime = yoga time, right? Do some yoga in the comfort of your own home, thanks to Yoga with Adriene, available for freeeee on YouTube. Good vibes yoga offers a serene yoga experience in what looks like a trendy northside café, but instead of coffee, yoga mats. Based in Collingwood and Northcote, good vibes yoga has a laid back approach with classes for beginners and experienced yogis. Love to dance but hate the spotlight? Find a NLNL near you and dance the night away in complete darkness. As their website says: “we’re not an f****ing gym”, no ma’am, Alternative Women’s Gym is a place where the focus is on learning a new skill and doing it well. Classes range from boxing to ballet, as well as a class designed specifically for mothers with the option to bring your baby. Noice. Water Ballet with The Clams! 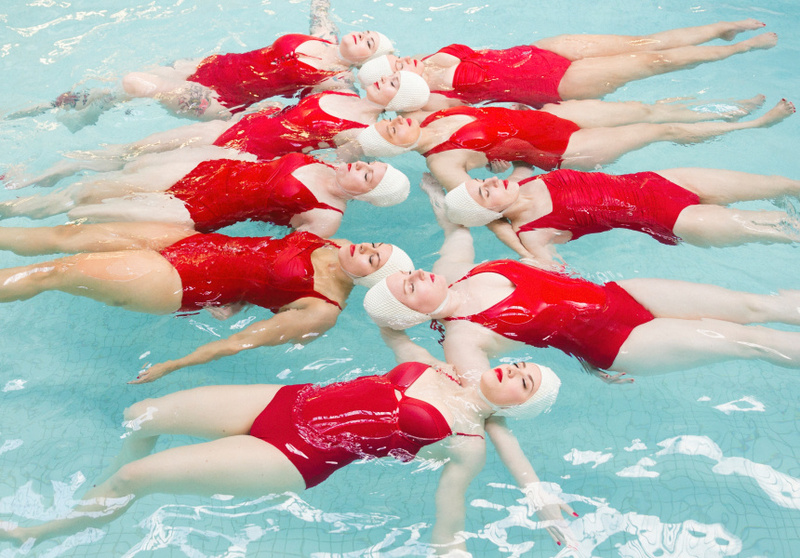 If you’re a Melbourne local, why not consider joining The Clams, our very own water ballet squad? Raising the flag for both synchronised swimming and positive chats about menstruation, The Clams are funny, irreverent, and just like menstrual products, completely essential. Destigmatising the period is a strong feminist issue. We wanted the water ballet to be something we felt quite passionate about. It fit so well with synchronised swimming – synchronised periods, all the puns that can come with it are just fantastic. And if you live further afield, you could always start your own synchronised swim team or sit under a noble fan blissing out as you watch synchronised swimmers from days of yore. Did someone say picnic in the park? Low-key hangs in the park with your fave feminist pals is the perfect way to while away the warmer hours. Better yet, it serves as the perfect cover for plotting the downfall of the patriarchy! Bring your best homemade hummus, a bottle of something to share, and who knows what you’ll dream up? Hosted by Erin Ryan, Hysteria is a podcast that thoroughly explores news, cultural stories and politics that affect women’s lives. Each week, Ryan is joined by a bunch of diverse co-hosts, ranging from activists to comedians, to investigate the latest with humour and empathy. Featuring female comedians, comedians of colour, LGBTIQA comedians and most recently MICHELLE OBAMA. A podcast for women by women, Ladies, We Need To Talk is a sophisticated version of the Dolly Doctor sealed section, hosted by Yumi Stynes. Plan International Australia has just launched Sexism and the City featuring journalist Jan Fran and amazing line-up of weekly guests tasked with tackling sexism in cities. Bless your Instagram feed with satirical critiques of the casual sexism in your life and celebrations of rad powerful women. Brazen and thought-provoking, Powerbabes’ posts give what for to the patriarchy. Do you enjoy a good self-deprecating laugh? Us too. With its click-bait titles and awkward stock photos, Reductress makes a mockery of everything, including ourselves. Have a good giggle about your love life with posts like, ‘Woman Truly Reaching to Justify This Particular Dude’. Maddy Cleeve Gerkens, a textile artist & toymaker based in Naarm (Melbourne) shares her soft toys that really are plush magic. 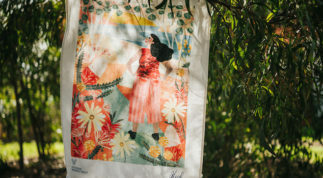 She also shares art shows, workshops and events around Melbourne, including those she has created and curated. 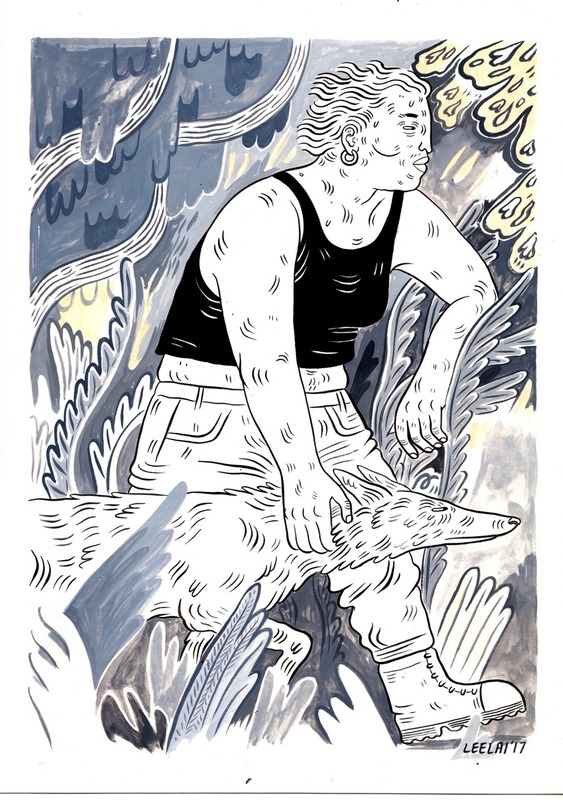 Self described as ‘an intersectional feminist art collective of your dreams/nightmares’, Babes of War features inspirational art and feminist icons to help you get out of bed in the morning. You’re welcome. Hand painted comics from a Melbourne local. Sometimes sad, sometimes happy, always relevant. And there you have it! So much to see and do over the warmer months. As always, there’s loads of little things you can do to maintain your feminist values all year round: have conversations about gender inequality with your friends and family; consume books, art, music and culture created by marginalised voices; support women-led businesses; become a card carrying feminist by supporting a gender equality advocacy group in your local area (*VWT Team waves furiously*); and don’t be shy to call out sexist behaviour when you see it. This silly season, wear your feminist values, pop them in a frame or put them to work! We’ve got VWT gifts available to suit all kinds of feminists. Best of all, every purchase supports a bright future for women & girls. 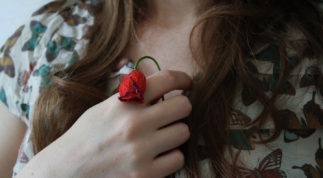 From shameful interest to proud obsession: how reality TV show The Bachelor made Jess Naylor more self aware, and a stronger feminist. 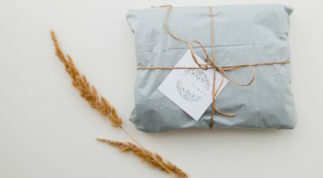 Books, art, edible delights – we've got ethical gift giving covered. Lindstrom's work depicts, 'a woman, standing defiantly, ready for battle with both hope and heart'.